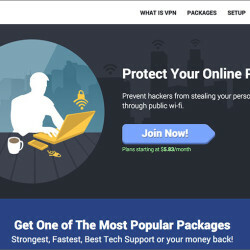 StrongVPN is one of the most popular VPN providers with world-wide customers. Their main website, StrongVPN.com is currently blocked in China. But you can access their service by using an alternative domain name: MyStrongVPN.com. StrongVPN has servers in 21 countries, including U.S., U.K, Hong Kong, Japan Singapore and many more.